Here's the second post in Julie's mini series including a rather cool looking mini sampler. Find the first post in the series right here. When I left you last week, you were (I hope!) stitching up your first thread mini-sampler and discovering what a difference a few strands can make. This week, we’ll focus on color. Gradient (or ombre) color-shifting is everywhere right now: from clothing to quilting fabric to yarns, it’s a very popular look. And why not! A simple shift from light to dark adds wonderful depth and interest to a project. Given the sheer volume of shades we have to choose from in our embroidery threads, gradients are an extremely easy look to achieve in stitches. A gradient is especially effective with a simple fill stitch, which allows the color shift to speak for itself. One piece of fabric, about 9” x 10” / 23 cm x 25 cm; I used a print from Heirloom Home Decor by Joel Dewberry. Printed mini-sampler pattern (download link below). 1 skein each of six DMC stranded cotton in shades that match your fabric; I used #955, #913, #911, #700, #986, #500. 4” x 6” / 10 cm x 15 cm photo frame, minus glass (optional). You can stitch this sampler up in whatever thread thickness you prefer to work with; if you made the first mini-sampler, choose whichever number of strands you liked best from that project. I worked my mini-sampler in 3 strands throughout. If you’re not a big fan of green, fabric and thread combos are not difficult to pick out. Start by picking a backing fabric and choose a thread that matches your fabric perfectly - this will be your lightest shade. Then choose five more threads that get gradually darker. 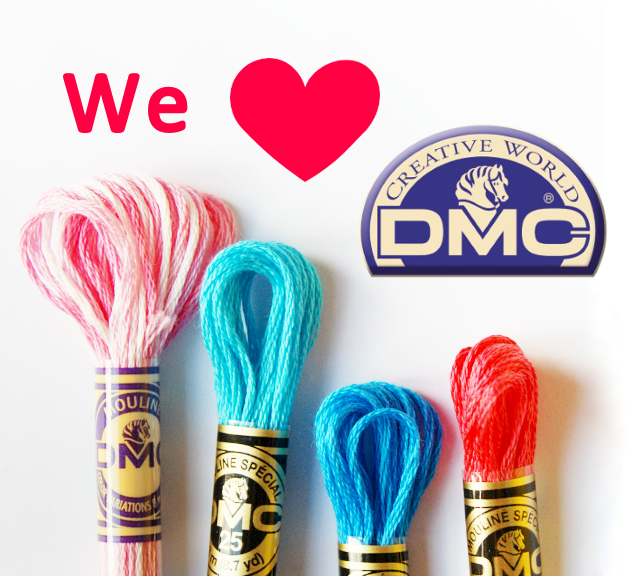 DMC stranded cotton tends to work in groups of at least three color numbers; starting with your first color, look at the color numbers that surround it. From there, it will be easy to combine six shades. If you happen to have a DMC color card, it’s a piece of cake. Once you’ve finished stitching, remove your fabric markings and frame or use your mini-sampler in whatever way you like! They might make nice book covers, or could be used as the front of a gadget cozy. I hope playing with colors in this little sampler will help inspire you to experiment with shading and gradients in your own projects. If you make a mini-sampler, we’d love to see it in the &Stitches Flickr Pool. I’ll be back next week with one last way to work this same pattern! So pretty!! I love ombre and this is a great medium for it.